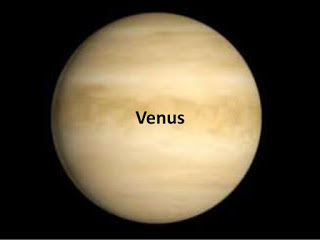 In astrology, Venus is responsible for splendor, wealth and happiness. One cannot get marital happiness and any other pleasure. Other planets give facility and resources but not happiness. Weak Venus: The person is not very attractive. The person not has good color and dress. The person doesn’t wear clean clothes. Sometime, the person gets facility but they cannot have happiness. Male cannot get happiness from female if his Venus is weak. Also, he cannot get happiness in marital life. A person remains in kambhav and showoff. Symptoms: The person would be very attractive if Venus is strong. The person’s conduct and nature is wonderful. They get very good fame and prestige. Also, they are very glamorous. They get very good respect from women and their marital life is very good. They get good sleep. They easily get facility and happiness. Remedies: Chant Venus psalm “Om Sum Sukraya Namah” or “Om Gram Grim Grom Saha Sukraya Namah” in early morning. Use light fragrance. Spend your life clean-clear and disciplined. Eat mishri in morning and yogurt in afternoon meal. Use more white or pink color. Be nice to treat women and children. Wear opal or Jerkan by consulting an astrologer. Good Luck: Do not use more glass items in the home. This makes relationships sensitive.